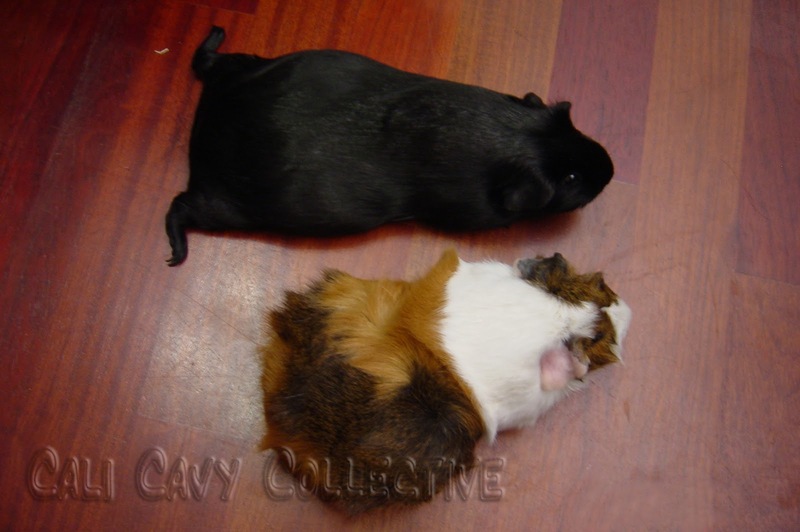 Hardwood floors make it difficult for our piggy feet to keep traction! 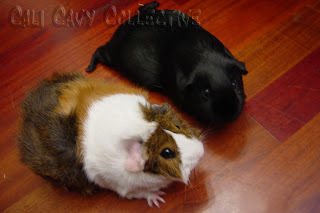 Coppy and Sharky always used to skid around madly during out of cage time - and not always intentionally. Our humans have since bought us two inexpensive floor rugs so we can race around as quickly as we please - when we want to, of course. Now our biggest problem is how to escape the grids surrounding our area. Setting down layers of newspapers, fleece, or towels helps to keep everything clean. If we manage to leave a lot of poops behind the humans simply vacuum them up. What do you use during piggy out-of-cage exploration time? A big piece of fleece over the tile in the kitchen. The kitchen has some traction. They've also recently been allowed in the living room (carpeted) without extra covering because they have learned to pee solely in the kitchen. Lots of traction on the living room floor! I use a big towel ar put my guinea pig in a big box and make it entertaining. PaintedThread, your girls are very well trained then!